General Category Archives | Imagine Plumbing & Appliance Ltd.
Before thinking about purchasing a new appliance every time it fails to function as expected, there are plenty of fixes that can help your dishwasher, fridge, washer, and dryer last for years. How can you tell when your appliance can be saved with a quick fix or if it's finally time to replace it? 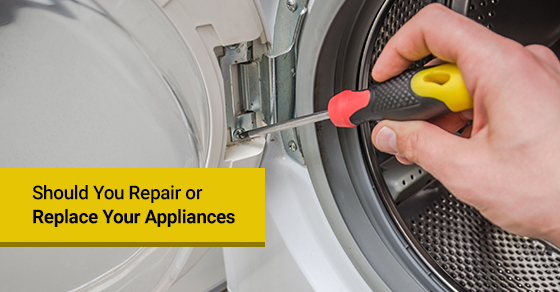 When making this decision, you should consider how long you’ve had the appliance and what the cost of repairing it would be, versus how much it would cost to replace.